(Reuters) - Ben Bernanke did not hesitate when asked whether he was confident that his signature response to the Great Recession would work. "Well, the problem with QE is that it works in practice but it doesn't work in theory," the head of the U.S. Federal Reserve quipped earlier this month during his last public appearance. He was referring to his decision during the darkest days of the financial crisis to launch an unprecedented program of massive bond purchases, a policy known as quantitative easing, or QE. The aim was to push long-term interest rates lower given that overnight rates, the Fed's main economic lever, were already near zero. The purchases Bernanke kicked off in late 2008 have continued, off and on, to this day. They have already led to a quadrupling of the Fed's balance sheet to $4 trillion. On Wednesday, Bernanke, 60, quietly adjourned his final policy-setting meeting after an unusually tumultuous eight-year stint atop the world's most influential central bank. When he steps down on Friday, the Fed's bloated balance sheet will hang over his legacy. Critics have warned it contains seeds that could lead to inflation or asset price bubbles. Early assessments have been mostly positive. The former Princeton professor has been praised as the steady hand who helped steer the United States and world economies clear of a far more painful recession. He flooded financial markets with liquidity from an alphabet soup of programs set up on the fly; he printed trillions of dollars through three rounds of QE; and he made bold promises to keep stimulus in place for years to come, tying low interest rates to particular economic outcomes in an approach emulated by other central banks. As a leading scholar of the Great Depression, Bernanke had a deep theoretical understanding of what to do in the face of a fast-moving banking panic. He put that knowledge into practice when the financial crisis struck. "Bernanke was willing to do creative and aggressive things," said Laurence Meyer, a former Fed governor who co-founded the forecasting firm Macroeconomic Advisers. "He put a lot of balls in the air and likely thought that not all of them will work - but some of them will. That was the kind of spirit and leadership and willingness to take risks." But like his predecessor, Alan Greenspan - who was showered with accolades when he stepped down in 2006 only to later be labeled a main architect of the subsequent crisis - Bernanke's legacy will only become clear over time. A good part of that legacy will be written by Fed Vice Chair Janet Yellen, who takes the central bank's reins on Saturday. She inherits the job of dialing down the bond-buying and deciding when to raise rates. Yellen will also need to figure out how to smoothly shrink the Fed's balance sheet to a more comfortable size of around $1 trillion without knocking the economy off the rails. To Allan Meltzer, a leading Fed historian, no outcome looks good for Bernanke. "If they go too fast, we're going to get a recession. If they go too slowly, we are going to get serious inflation. If they do neither, we could get both," he said. The first round of quantitative easing in 2008 and 2009 was heroic, Meltzer said. But the second and third rounds were "just a mistake, a serious mistake, that will have problems." 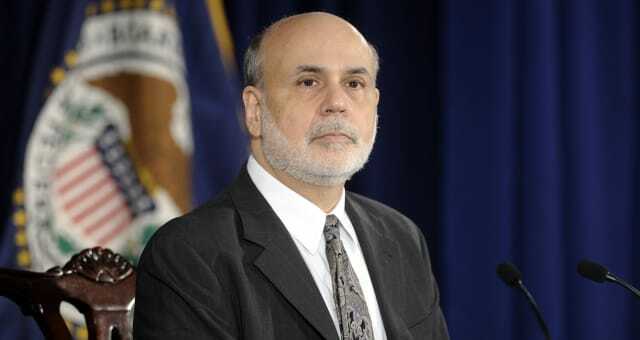 "History will judge his response to the 2009 crisis very well," he said of Bernanke. "They will judge the aftermath as being much too strong and unnecessary." While Bernanke has defended the aggressive steps the Fed has taken since 2008, he has been one of his own biggest critics for missing the signs of brewing crisis in the U.S. subprime mortgage market and over leveraged Wall Street banks. But far from punishing Bernanke, who served a prior stint on the Fed board from 2002-2005, for taking too long to recognize the cracks in the financial system, legislators intent on reforming Wall Street expanded the Fed's supervisory authority. By the time former President George W. Bush appointed Bernanke chair in 2006, the subprime housing bubble was already massive. When it burst in 2007, the Fed chief was slow to realize just how quickly those problems could cascade around the world, infecting lightly regulated banks and sparking investor panic. Only two of the five U.S. investment firms, Goldman Sachs Group Inc and Morgan Stanley, survived the 2008 financial crisis - and only because of an unpopular taxpayer bailout. Drawing more public scorn, the Fed also orchestrated a $182 billion taxpayer bailout of insurer American International Group. Only when there was no mistaking the severity of the situation did the Fed go all out to stop the panic and attempt to support a plunging economy. As the worst recession in decades took hold, U.S. gross domestic product contracted by 8 percent in late 2008, and the unemployment rate soared to 10 percent the following year. While growth has since been erratic, the pace was close to 4 percent in the second half of 2013, and the unemployment rate has dropped to 6.7 percent - a welcome backdrop for Bernanke as he departs. Nevertheless, the economy still has deep scars and the Fed is still tarred by its efforts to prop up Wall Street. As he prepared to head out the door, Bernanke's public approval rating stands at a lowly 40 percent, although a full 25 percent of Americans have no opinion, according to a Gallup poll published on Wednesday. In contrast, Greenspan's approval rating when he left office was 65 percent. "The economy was extremely fragile in 2008. We could have had a much-worse outcome, and he basically decided that he would do what it takes to make sure we didn't have a repeat of the Great Depression," Boston Federal Reserve Bank President Eric Rosengren said in an interview this month. "I think Bernanke's legacy will be a very positive one," he added. "He will be known for doing whatever it took to get us out of the financial crisis."